A village in Jharkhand has been hiding a secret for more than 30 years. The state government has declared all its 24 districts drought-affected. 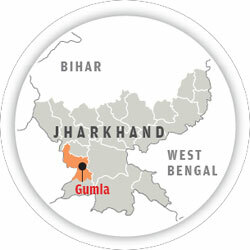 But Sato in Gumla district is an oasis of water security. In a stark contrast to villages around, farmers there grow at least two crops of paddy, wheat or maize each year. “Earlier, my family could produce only 400-480 kg of rice. Now we are producing 800-1,000 kg on our 1.6 hectares (ha) of land,” says Mangal Uraon, a village resident. The secret lies in a dam the village residents built after three years of non-stop work. Sato has today marched towards water and food self-sufficiency. But it was not always like this. 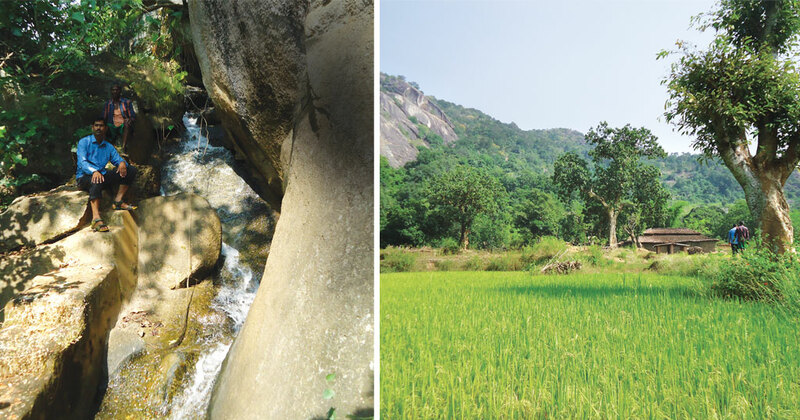 About 30 years ago, barely 25-30 per cent of land in the village was cultivable, and village resi-dents, mostly tribals, could not even rear cattle because of water shortage. Women had to walk 10-12 km to fetch drinking water from the only water source, a small pond. “We could cultivate only one crop and were heavily dependent on rainwater,” says Ravi Uraon, a farmer. Atop a hill just beside their village was a spring. Though villagers were aware of this spring, they did not know how to divert its water to their village. The spring emerged from Balatu village, 5-6 km away, and flowed into the Koel river. “Our ancestors made several attempts to build a dam to divert the water, but their efforts went in vain,” says Mahaveer Bhagat, a villager. In 1984-85, Sato’s residents held a meeting with the representatives of Vikas Bharati, a non-profit. “We shared our problems and told them that availability of water throughout the year would not only help us cultivate the entire area in the village, but also enable us to rear cattle. It would also end the drinking water scarcity,” says Bhagat. Subsequently, Ashok Bhagat of Vikas Bharati accompanied by village residents approached the district administration for help. Though the district administration was sympathetic to their problems, the officials repeated what they had said earlier: it is impossible to const-ruct the dam. The villagers then took upon themselves the challenge to build the dam. With guidance from Vikas Bharati, they formed a core group and devised a plan. Each household contributed Rs 100, a big amount in those days, and deputed one person to work daily. The deputy commissioner too sanctioned Rs 95,000 for this initiative. The seemingly impossible task of building a dam slowly began to gain pace. The main challenge was to manually break stones, with little help from technology or machinery. Soon, a wall, measuring 4.5 metres in length and 0.91 metre in width, was constructed as a catchment on the hill. However, the bigger test was to bring the water from atop the hill, which was about 610 metres high, to the village. For this, the villagers constructed a 2 km waterway and managed to bring water to their village on December 8, 1987. “We also expanded the area of the pond, further strengthening the village’s water security,” says Mangal Uraon, a 65-year-old villager. A study by the Vikas Bharati in 2015 reveals that before the construction of the dam, more than 70 per cent of village residents were not able to get food for more than six months in a year and they migrated to nearby areas in search of work. After the construction of the dam, at least 30 per cent households now have surplus food, which they sell. Sato has also inspired neighbouring villages. For instance, in Nindi village in the same district, people constructed the Kerar dam, which has helped irrigate over 38 ha of agricultural land. Likewise in Henhe village in Lohardaga district, the district admi-nistration aided villagers to construct a dam in Mahugaon. The success of Sato shows that community-led initiatives can trans-form the village landscape even during severe drought.